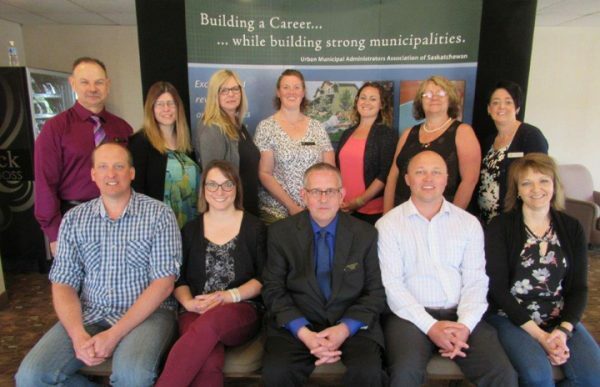 The Urban Municipal Administrators Association of Saskatchewan (UMAAS) began in the mid-1950’s with the unanimous support of the Saskatchewan Urban Municipalities Association (SUMA). The Association along with the Provincial Government establishes standards and examinations to increase members’ proficiency, knowledge and skill with respect to the performance of their professional duties. They also have established an educational program for persons who apply for membership in the Association. The UMAAS of today is faced with a challenging and increasingly complex field. The Association is confident that these challenges will be met as effectively today as they have in the past. CUTOFF DATES FOR ADVERTISEMENTS in the UMAAS UPDATE March 15, August 15, and November 15 each year! MEMBERSHIP FEES are due in January of each year!